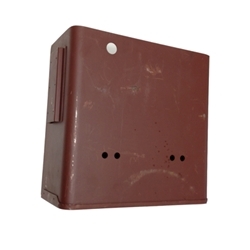 Box, battery, assy, (cowl) Includes stamped bottom. Box, battery, assy, (cowl) Includes stamped bottom. These are high quality US manuf. assy. All holes are punched per factory specs. Box only is available too for $75.00.